Scoliosis is the lateral curvature of the spine. It occurs almost ten-times more in girls than boys. A Cobb angle of 10 or more is considered significant. Although genetics can play a role in scoliosis, the cause is still a mystery to modern medicine. Thus, the common treatment of scoliosis does not address a cause, but merely manages symptoms. 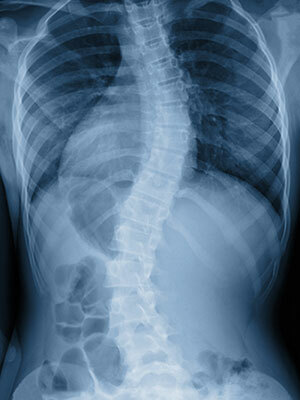 Medical treatment of scoliosis includes physical therapy, bracing and surgery. Two major roles of the spine are to house and protect your spinal cord. The connection between your brain and your spinal cord is called the brain stem. The brain stem is located in the upper neck. The brain stem is one of the most vital areas in the body. When the brain stem is under pressure, the spine will actually bend and twist to relieve the pressure near the brain stem thus causing lateral curvature of the spine below. This compensatory adaptation can contribute to scoliosis. Upper Cervical Care focuses on the relationship between the top two bones in the neck and the brain stem. A misalignment in the upper neck can affect brain-body communication. Upper cervical doctors are trained in the analysis and correction of brain-body communication. A gentle correction to the upper neck can remove pressure at the level of the brain stem and allow the spine below to return to a more balanced postural state.